Welcome. BrainWave Optimum Brain Training uses state of the art technology to help your brain reach its full potential. 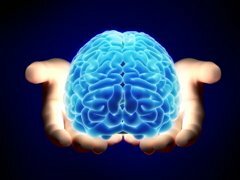 As the brain plays a dominant role in generating and regulating many functions--mental, physical, emotional and spiritual--the benefits of brain training are significant and wide ranging. Brain Training has helped many people better their lives by improving everything from mental clarity and sports performance, to enhancing emotional well-being and ability to meditate. Brain Training has also helped many people significantly reduce a wide range of conditions relating to anxiety, traumatic brain injury, depression, stress, addiction, and many other challenges. at different parts of your head. Using that information, a series of protocols are then selected to benefit your unique brain. The training is commonly done in the format of a Brain Training Intensive--which involves receiving 10 sessions, often over the course of 2 to 3 weeks. Though depending on individual needs and availability, other formats are also possible. All formats help your brain to create new neural networks which support healthy, balanced brain activity. The Brain Training process is typically comfortable, relaxing and easy. Most importantly, people can have amazing results. Until recently, it was believed that the brain's ability to change was limited. It was believed that neural flexibility only lasted until young adulthood. In other words, it was believed that adults' and seniors' brains were 'set' and could not change. Significant discoveries in the 1990's revealed that the brain's ability to change, or its neuroplasticity, was dramatically more flexible and long-lasting than previously understood. We now know that the brain can change, learn, adapt and develop throughout our entire lives. Even young brains have much more neuroplasticity than previously understood! 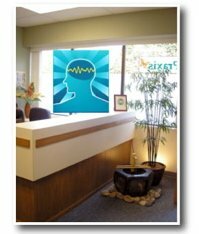 These Brain Training testimonials are stories of personal triumph from individuals who have experienced many different remarkable benefits through brain training. Head injury treatment is a hot issue for NHL hockey players like Sidney Crosby, who as been out since January 2011. The NHL's Kurt Sauer has found something that works.